Who doesn’t love a cute hippo? They’re pretty cute, especially the purple ones! 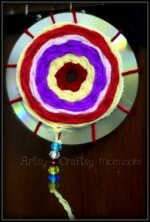 For this month’s Craft Challenge the theme was Crafting with a CD. So we re purposed an old CD and turned it into a cute Hippo. 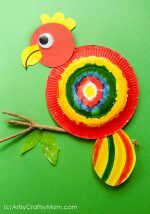 Use it as a puppet, to teach Alphabets or as a prop to teach about animals in Africa! Its so easy to make and gets ready in under 10 minutes. Cut out the eyes from white foam. Using black markers, draw the eye balls. Cut ears & mouth from purple felt. 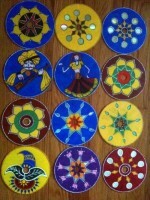 Using Tacky glue, paste the mouth at the center of the CD being careful to cover the CD hole completely. 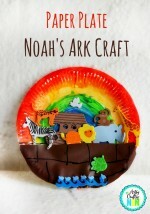 In our video, I used Hot glue Gun to speed it up. But tacky glue works just as well. Now stick on the ears. Next stick the nostrils as shown in the pic. You can also optionally attach a stick or a paper straw at the back to use it as a prop. 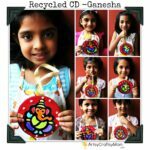 Make sure to check these other great ideas for crafting with CD’s from the Kids Craft Stars! You can also keep up with our latest crafts by following our Pinterest Board or following our hashtag#kidscraftstars on Instagram. Doughnut CD Craft | A Little Pinch of PerfectCD Flamingo Craft | I Heart Arts N CraftsWoven CD Dream Catchers | Pink Stripey SocksCD Spinning Toys | Artsy MommaDuckling Gets a Cookie CD Craft | Glued to My CraftsRecycled CD Hippopotamus craft | Artsy Craftsy MomBalloon CD Hovercraft | Hello WonderfulCD Mosaic | In The PlayroomCD Lion Craft | Crafty MorningCD Frog Craft | Fun Handprint ArtLoved this post? 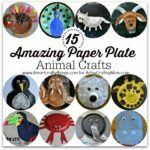 Don’t forget to leave a comment here and then check us out on Twitter, Facebook & Pinterest where we share 10 new Artsy- Craftsy ideas everyday! That just looks cute….kids would love to do it.